Perfect Weather Heating & Cooling has been servicing residential and commercial customers in El Paso for over 20 years. All of the equipment we use and recommend is certified to be of exceptional quality. Additionally, we consistently work to reduce our costs in order to offer the most reasonable prices to our customers. In an emergency, Perfect Weather Heating & Cooling is available to ensure that you stay comfortable. A major portion of our business comes from referrals and our continued success is a reflection of our commitment to our customers. Should you require service on your current home or business heating and air conditioning system, our skilled technicians have the knowledge to diagnose, adjust or repair your system to make sure that you are comfortable all year long. For safety and warranty reasons you should never attempt to service your unit yourself. Looking to replace your old comfort system El Paso? We specialize in making our customers cozy by providing the best value on the highest quality comfort systems for your home or business. We will design assist you in selecting the perfect comfort system because nothing is more important than the quality of air that you breathe and your well-being. Our dedicated and knowledgeable Comfort Consultants will personally assess your home or business and design the system that is most suitable for you. We offer residential and commercial preventative maintenance agreements for homes and businesses of any size. This helps obtain optimal efficiency and performance from your system for years to come. To learn more, you can view an example of our Homeowners Comfort Agreement Reminder. Don’t forget, you receive Priority Service as part of our Comfort Agreement. Customer satisfaction and a properly completed job is our priority. Take a look at what our customers have to say! At Perfect Weather Heating & Cooling we recognize that Evaporative Cooling systems are most widely used in El Paso. If you have an Evaporative Cooling system which needs maintenance, contact us and schedule your service with us immediately. Perfect Weather Heating & Cooling will design the ideal duct configuration for your specific comfort system. We offer commercial and residential air duct cleaning services to help improve air quality and remove dust, pollen, mold spores and more. Did you know indoor air pollutants such as dust mites, mold, mildew, animal dander (even if you don’t own pets) and smoke are only some irritants that circulate through today’s “air tight” homes. Contact Perfect Weather Heating & Cooling for our duct cleaning services. Perfect Weather Heating & Cooling offers expert blown-in insulation services for your home or business. If you need air sealing, moisture management, or sustainable building science your home will benefit from Blow-In Insulation. 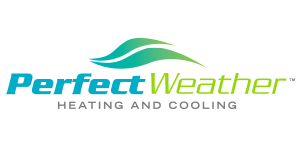 Perfect Weather Heating & Cooling are fully licensed and insured,( License #: TACLB20952E ), are an A+ Accredited Business with the Better Business Bureau and a Lead-Safe EPA Certified Firm. We here at Perfect Weather Heating & Cooling put a high value on our customers' thoughts and opinions. If you have any questions or comments about something you have seen on our site, or if you think we could improve our service, please let us know!